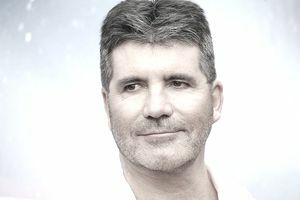 Simon Cowell is probably best known as the obnoxious judge on the hit TV show whose cynical comments sent contestants running out the door in tears. But his work didn’t start there, and most certainly won’t end there. His list of achievements ranges from his work as a successful record producer and executive for the BMG UK record company to gathering wannabe entrepreneurs on his show. Cowell was born on October 7, 1959, and was raised most of his early life by nannies before being sent off to a boarding school. He acted up constantly and was consequently transferred sixteen times before finally leaving school all-together at the age of sixteen. Cowell then began work as a modest mailroom clerk for EMI Music Publishing, where his father worked. He soon moved up to become a record producer but left to form an independent music company, E&S Music, which didn’t quite make it, forcing Cowell to return to EMI. He was not content being back and left again shortly afterward to form Fanfare Records with partner Iain Burton. From 1985 to 1989, Fanfare did well thanks to a string of minor hits from its artist, Sinitta. Seeing Cowell’s potential early on, in 1989, BMG offered Cowell the position of A&R Consultant when he was only 30 years old. After that, his career took off as he signed several successful artists including the boy band Westlife and the pop duo Robson & Jerome. Cowell first appeared on television in 2001 as a judge on the first season of Pop Idol and then American Idol in 2002. His brutally honest comments helped him to be everyone's favorite hate. His popularity rose as the both show's ratings rose and his sardonic and biting comments were mocked by millions around the world. Pop Idol's first season attracted over 11 million viewers, and American Idol drew 22 million viewers for the first season finale. Cowell set up another record label named S Records in 2002 which signed the top two finalists of the first season of Pop Idol. Both went on to have number one hits in the UK. The winner, Will Young, brought in 1.8 million sales with his debut single. Cowell cleverly managed to gain a share of Young's royalties, then sold his half-share in S Records to BMG for $42 million, making him an instant multi-millionaire. In 2001, detecting a worldwide trend of growing appreciation for classical music, Cowell embarked on a project to assemble a multinational quartet of young, attractive male singers who would perform classical and other lyrical music. Cowell conducted a 2-year worldwide search ultimately to find David Miller (USA), Carlos Marín (Spain), Urs Bühler (Switzerland) and Sébastien Izambard (France). They have achieved 26 #1 chart positions internationally, sold over 13 million albums and received over 100 gold and platinum awards around the world. In December 2003, Cowell's catchphrase was turned into the title of his new book; I Don't Mean to Be Rude, But..., where he shares his experiences working his way up the music industry, and stories from the Idol shows. Cowell also began producing several more shows under the aegis of Syco, his production company. Although not all did well (Cupid, for instance), others had a fairly large audience, including X-Factor, America’s Got Talent, Celebrity Duets and American Inventor. Cowell has one sister (Lindsay Elizabeth), a younger brother (Nicholas), three half-brothers (John, Michael, Tony) and one half-sister (June). Cowell signed a five-year contract for American Idol, making about $36 million a year from that show alone, and Forbes estimated his annual income to be about $43 million. In a BusinessWeek interview, he said that to be a successful entrepreneur you have to "work hard, be patient, and be a sponge while learning your business. Learn how to take criticism. Follow your gut instincts and don't compromise." He considers himself an entrepreneur rather than a music man: "I've always treated the music business as a business. Whether I'm making TV shows or signing artists, you have to do it by the head and not the heart -- and I run my businesses that way."